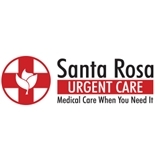 Santa Rosa Urgent Care & Primary Clinic (Las Vegas) - Book Appointment Online! There are a number of reasons you would need to see a doctor immediately and Las Vegas walk in clinic Santa Rosa Urgent Care can assist you with them. Whether it be a sudden illness not urgent enough to rush to the ER or you need a quick physical and cannot wait for an appointment elsewhere, we offer same-day services to fit your schedule and health needs. We know that illnesses and accidents are never planned and it's often not ideal to wait until you can get an appointment to see a doctor before you find relief. That's why we're here to serve the Las Vegas community. Our caring staff of doctors and medical professionals can assist you with a wide variety of medical needs.